Thank you for your interest in City University; a unique institution of higher learning in Somalia. Our plans are to grow the contents of this site so that over time, we will have a fully developed portal that will allow our visitors to not only get all the information they need, but to also perform many important university functions online. ​As you browse the site, we hope you find the information you are looking for. Meanwhile, we request you send your comments, concerns and questions to info@cu.edu.so. Thank you for visiting again. Please do come back. On Saturday June 30th, 2018, City University held its graduation convocation for the Class of 2018. The event was attended by the graduating students, their family and friends and the CU Board Members, Leadership and staff. The event was also attended by the Speaker of the Somali Parliament, H.E. Honorable Mohamed Mursal Sh. Abdirahman, the First Deputy Speaker of the Upper House of Somalia, H.E. Senator Abshir Mohamed Ahmed (Bukhary), The Somali Government Minister of Fisheries & Marine Resources, H.E. 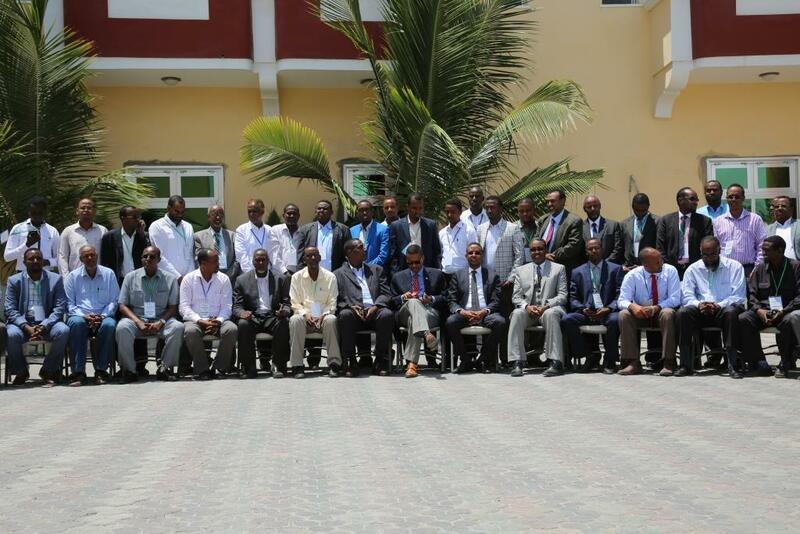 Abdirahman Mohamed Hashi, Ph.D. and the Governor of the Banadir Region and Mayor of Mogadishu H.E. Eng. Abdirahman Omar Osman (Yarisow). ​Click on the video below for more. ​On April 15, 2018, City University hosted a public lecture under the theme “Agriculture for peace”. As part of the curricular activities for the on-going academic year Dr. Hussein Haji Maow, Co-founder of SATG and Filsan Inc delivered the lecture and argued with practical examples and concrete research results that the unlocking potentiality of agriculture in Somalia can promote the peace and stability of the country. Madaxda Jaaamacadda City oo ka qayb galay shirka sannadlaha ah ee Jaamacadaha xubnaha ka ah SomaliREN oo ka dhacay magaalada Nairobi, Kenya. City University leadership participating in the annual Board meeting of the Somali Research and Educational Network (SomaliREN) held in Nairobi, Kenya. University World News Article and City University's "strong reputation"